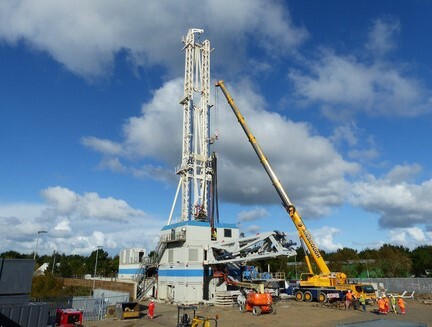 Geothermal Engineering Ltd (GEL) is drilling two deep geothermal wells from its site within the United Downs Industrial Estate and is building a 1MW pilot power plant to demonstrate the technical and commercial viability of supplying both electricity and heat. As part of its engagement with local communities, the company has set up a Community Fund to support projects in four local parishes and at it’s recent grant panel meeting awarded £10,950 to two local projects. Gwennap Parish Council were awarded £10,000 towards a £20,000 project to redesign and replace the play equipment at the Richard Jory Playing Field. Carharrack Parish Council were awarded £950 towards the cost of installing a defribillator. The Grant Panel who decide on grant awards includes representatives of Carharrick, Gwennao, Lanner and St Day Parish Councils, Peter Ledingham and Jane Charman from the United Downs Deep Geothermal Power (UDDGP). CCF are delighted to be working with UDDGP in managing and distributing the community funding. Grant Manager Kirsty Philpott says, “It was great to be able to support two project applications for local projects at the very first grant panel meeting” For more details about applying for a grant, please click here.